Korean chipmakers—led by the behemoth Samsung Electronics—have enjoyed record profits in recent years as prices for their products soared. But demand has started to decline as global market supply increases, after manufacturers invested billions in new factories. SK Hynix supplies chips to companies from US giant Apple to China's Huawei Technologies, and recorded operating profits of 4.46 trillion won ($3.9 billion) in the October to December period, it said. It was a 0.8 percent decline year-on-year, but the quarter-on-quarter changes were dramatic: revenues dropped 13 percent, operating profits slumped 32 percent, and net income fell 28 percent. "As memory demand slowed down in the second half and the supply shortage was resolved, the memory market environment rapidly changed," the company said in a statement. Breaking down the details, it said prices for DRAM chips—used in smartphones and servers—fell by 11 percent between the third and fourth quarters and volumes slipped two percent. NAND flash chip shipments rose 10 percent, but the average price slumped 21 percent. The weak demand was "linked to growing macroeconomic uncertainties", the company added. 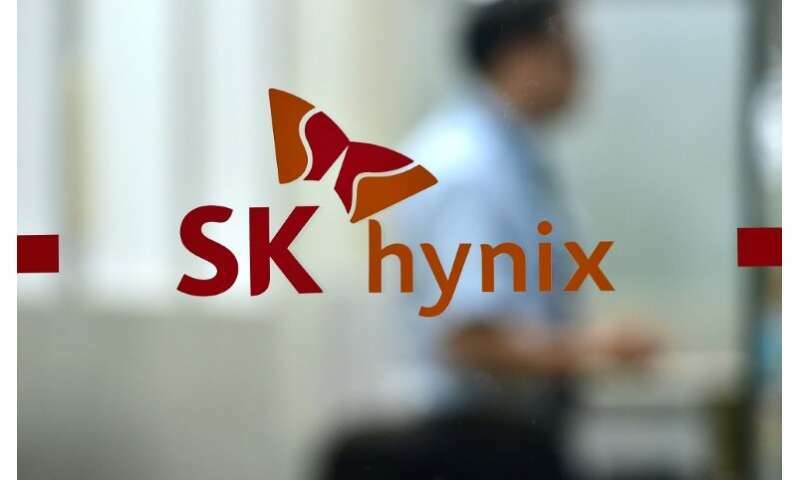 But SK Hynix shares closed up 5.54 percent. For the full year 2018, the company made operating profits of 20.9 trillion won, up 52 percent, on sales 34 percent higher at 40.5 trillion won. Net income jumped 46 percent to 15.5 trillion won. All three measures were record highs. The figures come after Samsung Electronics earlier this month flagged a 29-percent drop in its quarterly profits, citing mounting competition in China and falling prices. Bank of Korea governor Lee Ju-yeol said Thursday that the world's 11th-largest economy could face a "considerable burden if the prolonged downturn continues in the semiconductor industry".